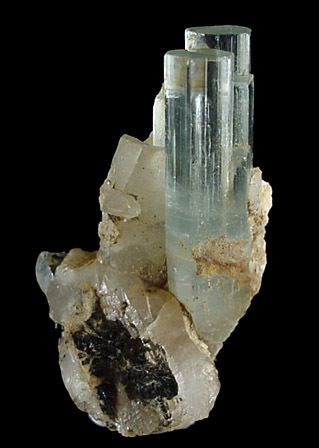 Aquamarine: Mineral information, data and localities. 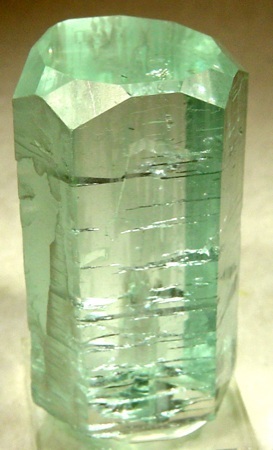 A sky-blue to sea-green gem variety of beryl. It is mainly associated with granitic pegmatites. Visit gemdat.org for gemological information about Aquamarine. Feldspar Group A group of silicate minerals. Muscovite 882 photos of Aquamarine associated with Muscovite on mindat.org. Schorl 799 photos of Aquamarine associated with Schorl on mindat.org. Albite 600 photos of Aquamarine associated with Albite on mindat.org. Quartz 279 photos of Aquamarine associated with Quartz on mindat.org. Feldspar Group 272 photos of Aquamarine associated with Feldspar Group on mindat.org. Microcline 113 photos of Aquamarine associated with Microcline on mindat.org. Smoky Quartz 109 photos of Aquamarine associated with Smoky Quartz on mindat.org. Orthoclase 90 photos of Aquamarine associated with Orthoclase on mindat.org. Fluorite 80 photos of Aquamarine associated with Fluorite on mindat.org. Cleavelandite 68 photos of Aquamarine associated with Cleavelandite on mindat.org. The following Aquamarine specimens are currently listed for sale on minfind.com. Van King. Barnes, R.G., Brown, R.E., Brownlow, J.W., Henley, H.F., and Stroud, W.J. (2001) Metallogenic Study and Mineral Deposit Data Sheets: Grafton-Maclean Metallogenic Map (SH/56-6, SH/56-7). Published by the Geological Survey of New South Wales. Collection of Keith Compton. Mine locality provided by late Keith Gregson of Torrington. Metallogenic Study and Mineral Deposit Data Sheets: Grafton-Maclean Metallogenic Map (SH/56-6, SH/56-7), Geological Survey of New South Wales, 2001: HF Henley, RE Brown, JW Brownlow, RG Barnes and WJ Stroud. Published by the Geological Survey of New South Wales. On the topaz trail. P. O’Brien, Australian Gold Gem & Treasure, Vol. 12, No. 4, April 1997, pp. 26 –30. Weninger, H. (1976): Mineral-Fundstellen Band 5: Steiermark und Kärnten. Chr. Weise Verlag, München, 231 pp. Paar, W.H., and Niedermayr, G. (1998): Mitteilungen der Österreichischen Mineralogischen Gesellschaft 143, 425-435. HEHENBERGER, Robert (1996): Vergleichende mineralogische Untersuchungen an granatführenden Pegmatiten (Almandin-Spessartin-Mischkristalle) im südl. Moldanubikum, NÖ..- Unveröff. Diplomarb. Formal- u. Naturwiss. Fak. Univ. Wien, 108 S., Wien. Niedermayr, G. & A. Wittern (2009). Hochleitner, R. (1983): Kluftaquamarin vom Goldberg in der Rauris (Alpine Mineralfunde). Lapis, 8 (11), 34. Exel, R. (1982): Die Mineralien Tirols - Vol. 2: Nordtirol, Vorarlberg, und Osttirol. Athesia, Bolzano. 214 pp. Folie, K., Rocchetti, I. (1999): Novità Mineralogiche del Passo di Vizze. Rivista Mineralogica Italiana, 4/1999, 222-230. Ferreira, M., M.A. Fonseca, Pires, F. (2005): Pegmatitos mineralizados em água-marinha e topázio do Ponto do Marambaia, Minas Gerais: tipologia e relações com o Granito Caladão. Revista Brasileira de Geociências, 35, 463-473. Guimar˜aes, C.P. (1941) Djalmaite, a new radioactive mineral. Amer. Mineral., 26, 343–346. Bastos, F.M. (2002): Famous Mineral Localities: The Barra de Salinas Pegmatites, Minas Gerais, Brazil. Mineralogical Record 33: 209-216. Kievlenko, E.Ya. (2003) Geology of Gems. (Soregaroli, A. ed. Ocean Pictures Ltd., Littleton, Colorado, 432 pages, at p. 113. Rocks & Min. : 63:40 & 49. Morris, N. (2005) Diamonds and other gems. Appleseed Editions, East Sussex. Li Zhaolin (2001): Chinese Journal of Geochemistry 20(4), 324-332. Scovil, J.A. (2005): Rocks & Minerals 80(1), 12-22. Yinlin Feng and Xiaopo Jiang (1987): Acta Petrologica et Mineralogica 6(4), 344-351; Tianren Zou (1996): Mineral Deposits 15(suppl. ), 38-40; Yanling Tang (2005): Non-metallic mineral deposits of Xinjiang, China [Zhongguo Xinjiang Fei Jinshu Kuangchuang]. Geological Publishing House (Beijing), 289 pp. Novák, M., ČERNÝ, P., & Uher, P. (2003). Extreme variation and apparent reversal of Nb-Ta fractionation in columbite-group minerals from the Scheibengraben beryl-columbite granitic pegmatite, Marsikov, Czech Republic. European Journal of Mineralogy, 15(3), 565-574. Ilkka Mikkola collection, Raman and optical analysis. Folie, K., P. Gentile, M. Hanke & I. Rocchetti (2010): Mineralien aus der Umgebung des Pfitscher Jochs in Südtirol (II). Mineralien-Welt 21 (4), 42-67. F. Pezzotta, F.C. Hawthorne, M.A. Cooper, D.K. Teerstra (1996) - Fibrous foitite from S. Piero in Campo, Elba, Italy. - Canadian Mineralogist, 34: 741-744. Lapis n1, 2005, "Der Oster Pegmatit"
Orlandi & Dini, 2004. Die Mineralien der Buca della Vena-Mine, Apuaner Berge, Toskana (Italien). Lapis, 29, 1: 11-24. Negri G.B. (1886-87): Zircone di Lonedo. Atti R. Ist. Ven. Sci. Lett. Arti, ser. 6, 5, 651-658; Panebianco R. (1886-87): Berillo e altre gemme di Lonedo. Atti R. Ist. Ven. Sci. Lett. Arti, ser. 6, 5, 387-396; Boscardin M., Girardi A., Violati Tescari O. (1975): Minerali nel Vicentino. Club Alpino Italiano, Sezione di Vicenza, 144 pp. ; Boscardin M., Violati Tescari O. (1996): Gemme del Vicentino. Comune di Montecchio Maggiore, Museo Civico "G. Zannato", Montecchio Maggiore (Vicenza), 114 pp. ; Zordan A. (2014): Provincia di Vicenza. In: Zorzi F., Boscardin M. (eds. ), Minerali del Veneto. Alla scoperta dei tesori della nostra regione. Museo di Storia Naturale e Archeologia di Montebelluna - Treviso, Cierre Edizioni, Sommacampagna, 173-246. Field collected by Dr Ryuji Marumoto, 1999. Cilek, Vaclav, 1989, Industrial Minerals of Mozambique. Praszkier, T. and Sacchi, M. (2012) Huge pocket from Sakangyi, Myamnar. Minerals, the collector's newspaper, #4, 1-7. Shigley, J. E., Laurs, B. M., Janse, A. J. A., Elen, S., & Dirlam, D. M. (2010). Gem Localities of the 2000s. Gems & Gemology, 46(3). Bezing, L. von., Bode, R., and Jahn, S., (2008) Namibia Minerals and Localities. Edition Schloss Freudenstein, Bode Verlag GmbH, Haltern, (in English). Cairncross, B. (2004) Field Guide To Rocks & Minerals Of Southern Africa: 51. - Cairncross, B. and U. Bahmann (2006) Famous Mineral Localities: The Erongo Mountains Namibia. Mineralogical Record 37, #5, page 457. Cairncross, B. (2004) Field Guide To Rocks & Minerals Of Southern Africa. 51. Knut Edvard Larsen observation in field july 2015. Paulsen, K. (2009): Litt om mineraler i Harstad og omegn. Harstad Geologiforening 1989-2009. Published by Harstad Geologiforening, 2009. p.9-11. Shigley, J. E., Dirlam, D. M., Laurs, B. M., Boehm, E. W., Bosshart, G., & Larson, W. F. (2000). Gem localities of the 1990s. Gems & Gemology, 36(4), 292-335. [www.thamesvalleyminerals.com]; Canadian Mineralogist, Vol. 36, Part 1, 1998, pp. 1-47.
transferred from "Shah Nassir Peak, Nyet, Shigar Valley, ..." wrong locality page. MARWAT, S. K., & ALI, A. TECHNICAL/SUB û SECTOR STUDY ON GEMSTONES IN BALTISTAN, NORTHERN AREAS GEM SECTOR DEVELOPMENT PROJECT BALTISTAN CULTURE & DEVELOPMENT FOUNDATION (BCDF). Aymeric Longi met in Chitral the owner of two Aqua mines and got information from him. Gerasimova, E. I., Vigasina, M. F., Prokofiev, V. Yu. and Nagornaya, E. V. (2014), Inclusions in Aquamarine from the Suprunovskoye Pegmatite Deposit, Russia. Acta Geologica Sinica, 88: 1094. Popova, V. I., Popov, V. A., Sokolova, E. V., Ferraris, G., & Chukanov, N. V. (2002). Kanonerovite, MnNa3P3O10· 12H2O, first triphosphate mineral (Kazennitsa pegmatite, Middle Urals, Russia). Neues Jahrbuch für Mineralogie-Monatshefte, 2002(3), 117-127. P. Lyckberg; Brigatti, M. F., Mottana, A., Malferrari, D., & Cibin, G. (2007). Crystal structure and chemical composition of Li-, Fe-, and Mn-rich micas. American Mineralogist, 92(8-9), 1395-1400. Anthony, J.W., et al (1995), Mineralogy of Arizona, 3rd.ed. : 133. Anthony, J.W., et al (1995), Mineralogy of Arizona, 3rd.ed. : 133; Meeves, H.C. (1966), Nonpegmatitic beryllium occurrence in Arizona, Colorado, New Mexico, Utah, and four adjacent states, US Bur. Mines Rept. Inv. 6828; Meeves, H.., et al (1966), Reconnaissance of beryllium-bearing pegmatite deposits in six western states, US Bur. Mines Info. Circ. 8298: 20 (Table A-1). Anthony, J.W., et al (1995), Mineralogy of Arizona, 3rd.ed. : 134. Benson, W.T. (1962), Inyo beryl deposit, Inyo County, California: US Bureau Mines Report of Investigation 6013: 2-5; Pemberton, H. Earl (1983), Minerals of California; Van Nostrand Reinholt Press: 446. Sterrett, Douglas Bovard (1908), Gems and precious stones: Mineral Resources U.S., 1907, part 2: 799; Murdoch, Joseph & Robert W. Webb (1966), Minerals of California, Centennial Volume (1866-1966): California Division Mines & Geology Bulletin 189: 103. Osborn, P. (2006) Personal communication between Philip Osborn, Hemet CA. (discoverer/owner) and Scott L. Ritchie, SDMC; 07/25. Gochenour, K. 1988. Black Tourmaline from Little Cahuilla Mountain, Riverside County, California. Rocks and Minerals, 63 (6): p. 440-444.; Jesse Fisher (2011) Mines and Minerals of the Southern California Pegmatite Province. Rocks & Minerals 86:14-34. Webb, R. W. 1942. Two Andalusite Pegmatites from Riverside County, California. The American Mineralogist. 28(11-12):581-593. Callens, A. C. (1997) Rainbow Mine (Juan Diego) Mineral Report, Southern California Gem Industries. Sampson, R. J., Tucker, W. B. 1945. Mineral Resources of Riverside County; California Division of Mines & Geology, 41 (3); p. 165. Murdoch, Joseph & Robert W. Webb (1966), Minerals of California, Centennial Volume (1866-1966): California Division Mines & Geology Bulletin 189: 103. San Diego Mining Company (1998) Cordova, E. M., Ritchie, S. L., Polk, M. T.; Emeralite No. 2 (Ware) mine surface and U/G field analysis: March. Todd, V. R. et al. 1987. Mineral Resources of the Sawtooth Mountains and Carrizo Gorge/ Eastern McCain Valley Wilderness Study Areas, San Diego County, California. U.S. Geological Survey Bulletin 1711-B, 26 p., maps. Kunz, G. F. 1905. Gems, jeweler's materials, and ornamental stones of California. California State Mining Bureau bulletin 37: p. 152. Todd, V. R. et al. 1987. Mineral Resources of the Sawtooth Mountains and Carrizo Gorge/ Eastern McCain Valley Wilderness Study Areas, San Diego County, California. U.S. Geological Survey Bulletin 1711-B, 26 p., maps. ; Jesse Fisher (2011) Mines and Minerals of the Southern California Pegmatite Province. Rocks & Minerals 86:14-34. Weber, F. H. 1963. Geology and mineral resources of San Diego County, California. California Division of Mines and Geology, County Report 3: p. 104. Kunz, G. F. 1905. Gems, jeweler's materials, and ornamental stones of California. California State Mining Bureau bulletin 37; pages 133-135. Weber, F. H. 1963. Geology and mineral resources of San Diego County, California. California Division of Mines and Geology, County Report 3: 309 p., illus., maps. Weber, F. H. 1963. Geology and mineral resources of San Diego County, California. California Division of Mines and Geology, County Report 3: p. 211.; Weber, F. H. 1963. Geology and mineral resources of San Diego County, California. California Division of Mines and Geology, County Report 3: p. 211. Mauthner, M. H. F. (2008), The Forty-niner Pocket, Oceanview Mine, Pala District, San Diego County, California. Rocks & Minerals 83(4): 292-297.; Stephenson, J. (2007), Pala District Opens Wide: Oceanview Mine Strikes It Big. Mineral News: Pala International, Fallbrook, CA. December. 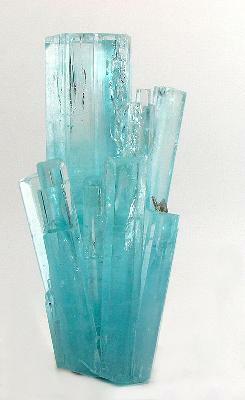 Reed, R. (1994), Discovery of 1300 gram etched aquamarine specimen near Elizabeth R. mine, Chief Mountain, Pala (as described during personal communication with Robert Lavinsky). : May. Merrill, F. J. H. 1914. Geology and Mineral Resources of San Diego and Imperial Counties: Gems, Lithia Minerals. California State Mining Bureau, San Francisco, Cal. California State Printing Office. Chapter 1, p. 69. Weber, F. H. 1963. Geology and mineral resources of San Diego County, California. California Division of Mines and Geology, County Report 3: p. 111. Weber, F. H. 1963. Geology and mineral resources of San Diego County, California. California Division of Mines and Geology, County Report 3: pages 99, 105, 108; plate 5. Foord, Eugene E. et al (1989), Mineralogy and Paragenesis of the Little Three Mine Pegmatites, Ramona District, San Diego County, California. Mineralogical Record, 20(2): p. 106.; Jesse Fisher (2011) Mines and Minerals of the Southern California Pegmatite Province. Rocks & Minerals 86:14-34. Foord, Eugene E. et al (1989), Mineralogy and Paragenesis of the Little Three Mine Pegmatites, Ramona District, San Diego County, California. Mineralogical Record, 20(2): p. 119. Weber, F. H. 1963. Geology and mineral resources of San Diego County, California. California Division of Mines and Geology, County Report 3: pages 87, 98, 112; plate 5. Kunz, G. F. 1905. Gems, jeweler's materials, and ornamental stones of California. California State Mining Bureau bulletin 37: p. 146-47. Hanley, J. B. 1951. Economic Geology of the Rincon Pegmatites, San Diego County, California. Department of Natural Resources, California Division of Mines, Special Report 7B: p 23. Hanley, J. B. 1951. Economic Geology of the Rincon Pegmatites, San Diego County, California. Department of Natural Resources, California Division of Mines, Special Report 7B: p. 23-24, illus., maps. Weber, F. H. 1963. Geology and mineral resources of San Diego County, California. California Division of Mines and Geology, County Report 3: p. 106, illus., maps. ; Jesse Fisher (2011) Mines and Minerals of the Southern California Pegmatite Province. Rocks & Minerals 86:14-34. Fisher, J. 2002. Gem and rare-element pegmatites of southern California. Mineralogical Record, Vol. 33: p. 389-390.; Jesse Fisher (2011) Mines and Minerals of the Southern California Pegmatite Province. Rocks & Minerals 86:14-34. Gochenour, K. 2002. Personal communication with S. L. Ritchie, SDMC, 2002. Tustin, Orange County, CA; March. Ritchie, S. 2000. History of the Carmelita Gem Mine in the 20th Century. Southern California Gem Industries web publication: July. Page, J. 2009. Details of the Green Cloud mine workings of the Blue Chihuahua (Blue Dog) pegmatite deposit, January. Text and photographs [http://www.mindat.org/mesg-5-121890.html]. Rocks & Min., May 1998; Betts, John. (1999): The Quarries and Minerals of the Dayton Road District, South Glastonbury, Connecticut. Rocks and Minerals. Volume 74, Number 2. pp. 110-121. Williams, Horace S. (circa 1945): Article for New York Society of Mineralogists. Brainerd Public Library, Haddam, Connecticut. Cameron, Eugene N., Larrabee David M., McNair, Andrew H., Page, James T., Stewart, Glenn W., and Shainin, Vincent E. (1954), Pegmatite Investigations 1942-45 New England. USGS Professional Paper 255.; Schooner, Richard. (1958), The Mineralogy of the Portland-East Hampton-Middletown-Haddam Area in Connecticut (With a few notes on Glastonbury and Marlborough). Published by Richard Schooner; Ralph Lieser of Pappy’s Beryl Shop, East Hampton; and Howard Pate of Fluorescent House, Branford, Connecticut. ; Cross, L. M. (1987), A New Occurrence of Beryl at Case Quarries, Portland, Connecticut. Rocks & Minerals: 62(2): 116-7. Rocks & Min. : 12: 141-143. Schooner, Richard. (1955): 90 Minerals from 1 Connecticut Hill. Rocks & Minerals: 30(7-8): 351-8.; Schooner, Richard. (1958): The Mineralogy of the Portland-East Hampton-Middletown-Haddam Area in Connecticut (With a few notes on Glastonbury and Marlborough). Published by Richard Schooner; Ralph Lieser of Pappy’s Beryl Shop, East Hampton; and Howard Pate of Fluorescent House, Branford, Connecticut. ⓘ Groves Quarry (Hole in the Ground Quarry) ? ⓘ Wade Quarry (Androscoggin Tourmaline prospect) ? King, V. and Foord, E., 1994, Mineralogy of maine, volume 1. Thompson, W.B., Joyner, D.I., Woodman, R.G., King, V.T. (1998) A Collectors Guide to Maine Mineral Localities, 3rd ed. ⓘ French Mountain prospect ? King, V. and Foord, E., 1994, Mineralogy of Maine, V. 1, King, V. (ed. ), 2000, Mineralogy of Maine, V. 2.
ⓘ Swan's Falls locality ? ⓘ Peaked Hill Quarry ? ⓘ Mayhue Ledge locality ? ⓘ Streaked Mountain localities ? ⓘ Alton Maxim prospect ? ⓘ George Elliot Quarry (North Rumford Mica Quarry) ? ⓘ Whitecap Mountain localities ? ⓘ Shell Pond Brook locality ? Bastin, Edson Sunderland (1911) Geology of the pegmatites and associated rocks of Maine, including feldspar, quartz, mica, and gem deposits. USGS Bulletin 445.
ⓘ Blandford mica mines ? Dana, James D. (1854). A System of Mineralogy, 4th ed. Caswell, L. and Cross, F. W. (1917). The History of the Town of Royalston, Massachusetts. Dana, James D. (1844): A System of Mineralogy, 2nd edition. ⓘ E.E. Smith Mine (E.E. Smith Quarries; Smith Quarry; Smith Mine; Bullock Mine; Bullock Quarry) ? ⓘ New Haven Mica Quarry (Hutchins Hill Quarry) ? Whitmore and Lawrence, 2004. The Pegmatite Mines Known As Palermo, p.180. ⓘ Keyes Mica Quarries ? Valade, Vincent (2002). Goffstown: Gold, Silver, Aquamarine, and Maybe Even Diamonds (Crystals and Cabs, Vol. 2, no. 8). Morrill, 1960. NH Mines and Mineral Localities. ⓘ Chandlers Mill Quarry ? Edward C. Bingler (1968) Geology and Mineral Resources of Rio Arriba County, New Mexico. NMBMGR Bulletin 81; Jahns, R. H., (1946) Mica Deposits of the Petaca District, Rio Arriba County, New Mexico, with Brief Descriptions of the Ojo Caliente District, Rio Arriba County, and the Elk Mountain District, San Miguel County. NMBMGR Bulletin 25. The Minerals of New York City & Its Environs, New York Mineralogical Club Bull., Vol. 3, No. 1, Manchester, J.G. (1931): 65. Kunz, G. F. 1907. History of the Gems found in North Carolina: Beryl Gems and Spodumene (Hiddenite). North Carolina Geological and Economic Survey, Bulletin No. 12. Chapter 6, pages 37-48. Rocks & Min. : 20:264; 60: 165. Colored Stone Magazine, Nov.-Dec. 2005, “World Mining Report” by Austin, Beard, Elmoroe, Woudenberg, Zbrowski. Nguyôn Kinh Quèc, Nguyôn Quúnh Anh () Aquamarine, Beryl And Possibility Of Finding Emerald And Alexandrite In Việt Nam. Generations, 41, 50-58. Fridrichová, J., Bačík, P., Rusinová, P., Antal, P., Škoda, R., Bizovská, V., & Miglierini, M. (2015). Optical and crystal-chemical changes in aquamarines and yellow beryls from Thanh Hoa province, Vietnam induced by heat treatment. Physics and Chemistry of Minerals, 42(4), 287-302.